A performance for radio of a long dialogue between youth and age, set forth in a contemporary mode. Written and directed by David Sawn, with Bruce Harlow as the Old Man and Bob Darchi as the Young Boy, this is from the original production as seen at Off-Broadway's Dramarena Studio Theatre, produced by Pauline Braun. Technical production by Barry Singer. This recording was formerly cataloged as BB3818.30. 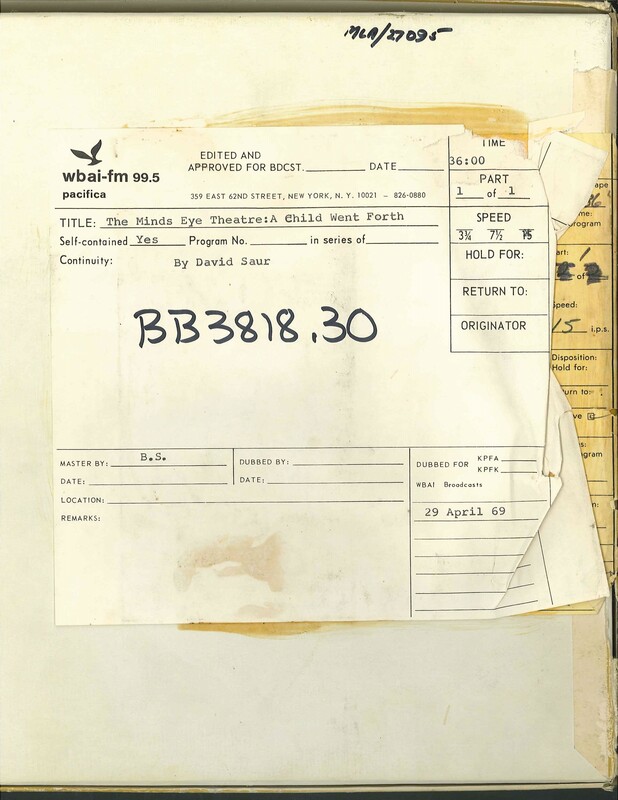 WBAI, 29 Apr. 1969. First mentioned in folio 2 May 1969. 1 reel (36 min.) : 15 ips, mono.